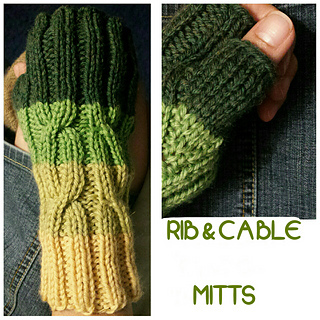 Rib & cable mitts are essential for the chilly days. Features a rib texture with a cable design for extra cushioning. They are comfortable and soft to the hands.